Our Fall classes will begin AUGUST 1st! It is NOT TOO LATE to join us! Please call 480-634-1239 to schedule a FREE TRIAL CLASS! Free giveaways with PAID REGISTRATION!!!! Our fifth annual dance recital will provide our students with a positive and exciting performance experience. 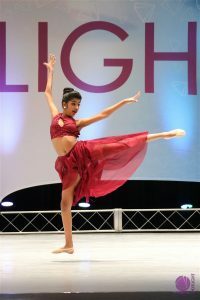 It allows your child to have a chance to shine onstage and show the hard work they have demonstrated all year. 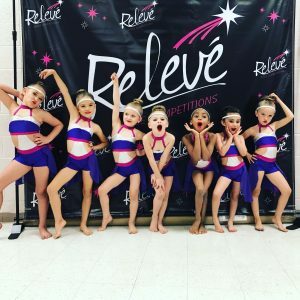 A big part of their dance training process includes learning through performance. *ALL FEES OWED TO JUST DANCE, INCLUDING ½ MONTH’S TUITION FOR JUNE, MUST BE PAID IN FULL OR YOU WILL NOT BE ALLOWED TO PURCHASE TICKETS!!!! There is $25 Participation fee per dancer which is due on May 5h. This fee will help to cover fees for theatre rental, programs, trophies and additional costs. Saturday May 19th *see schedule. Be sure to arrive at least 15 minutes before your child’s scheduled picture time with hair and make up all done in their first costume. Please do not be late. You do not want your child to miss their group picture! Costume Instructions: A detailed list of all the accessories and costume instructions are listed for you . One hour before show time, parents are to “check in” their dancers at their designated dressing room. Here, there will be many “helpers” that will assist with costume changes, entertain and care for your children during the entire show. This is to ensure that our show runs smoothly and parents get to just relax and enjoy the show. You may only pick up your child after the show when you “check out” with a Just Dance faculty member. Summer classes will be TBA Be sure to register for SUMMER CLASSES! *New Class Registration for our next season is happening now. New class schedules have been individually highlighted for your dancer, by your children’s dance intructor/s, and have been handed out along with an early bird registration form. Please be sure to get your registration forms in with the first month’s tuition to waive the $30 registration fee and to get $10 off the first month’s tuition price. These are the classes we highly recommend your child enrolls in for our next season. We STRONGLY suggest that you continue your dance training throughout the summer. What a GREAT summer activity! Gillian received her training at Southland Ballet Academy and the San Francisco Ballet School. 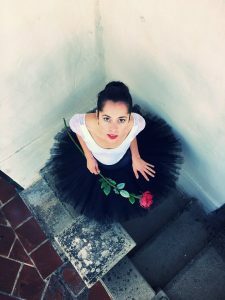 She has spent summers dancing at well-respected ballet schools such as the American Ballet Theater, Royal Ballet, Houston Ballet, the School of American Ballet, San Francisco Ballet and Boston Ballet on full-scholarship. In 2013, she was one of the original dancers to perform in Gala De Danza, in Cabo San Lucas. She was a YoungArts winner in 2014 and competed in the Youth America Grand Prix finals for three years. Currently, she dances in Ballet Arizona’s Studio Company. Our new season (BEGINS AUGUST 1st) NOW ENROLLING! Register by July 20th to Waive the $30 registration fee!